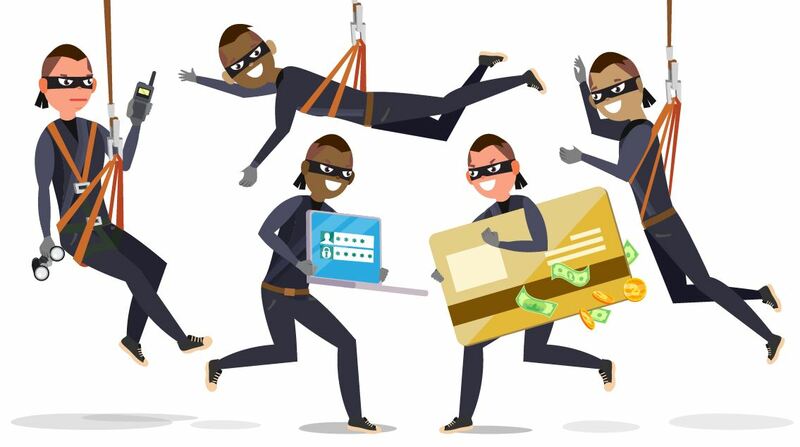 In part two, we will break down how fraud is attempted through your email accounts, your computer or mobile device; and how you can protect yourself from falling victim to one of these methods. So, let’s jump right in! One of the most common methods of fraud involves hackers. The fraudster hacks your account by sending you a link to what looks like a trusted site. We’ve all seen the fraudulent emails for what looks like name brand items for half the cost. It seems too good to be true. That’s because it really is. The email sent to you is likely, riddled with malware which will be used to hack into your device. This can be costly as the hacker could gain access to your personal info such as credit card information, user name, passwords and any other personal information stored on your device. How do you prevent this from occurring? It’s actually quite simple. While it may be difficult to tell if the ad in the email is dangerous to open, by hovering your cursor over the ad, the url of the link will become visible. If the link isn’t to the website it claims to be, you do not want to proceed. If it does match the ad, you are safe to proceed. An example of this is below. Something else you can do is download antivirus software. This will help warn you of harmful sites before you visit them. Pop-up blockers can help add protection as well. It is worth noting that just because you received a pop-up ad that looks harmful does not mean you have a virus. Proceed with caution and close the ad. Mobile devices almost always have antivirus software programmed into the device, so nothing extra should need to be downloaded. Since you don’t have a cursor on a mobile device to hover over links to check validity, these other added protections on the device help keep it secure. What do you do if you did click the link? If you have clicked one of these harmful links, don’t panic. The best thing to do is not use the device until you have a chance to have someone look at it to determine if it has been infected with a virus or malware. If you have any suspicion that information may have been taken from the computer, it would be smart to go ahead and change the passwords to your logins, as an added precaution. If you think your card information may have been compromised, contact financial institutions immediately and they will help you with the next step. If your account is at Central, you can call 1-888-262-5456 or use our mobile app to shut off your card. You should also never respond to emails or text messages with account numbers, passwords or other personal information. Even if you believe the person on the other end can be trusted, give them the information using a more secure method. Just because you’re emailing a friend doesn’t mean the information is safe. When it comes to text messages, most of the risks already discussed in part one and two of this blog apply. The only thing to add is to be cautious of the links and phone numbers you receive in texts from unknown numbers. At this point, you should know not to give out any information, especially if they are pushy about getting it. If a message says it is urgent to call your financial institution, check the number online before you call. You may find out it is a legitimate phone number, but if it is not and they start asking for card and account numbers, you could be putting yourself at risk. When it comes to the security of your information, it is always better to be safe than sorry. By knowing what to do before, and after, you get a potentially harmful email, you know how to prevent putting your information at risk. And if your do slip-up and click a link, or give out information, you now know what to do to keep the situation from getting worse. If you ever have any questions or concerns about your account’s risk, or have fallen victim to any of these scams we have talked about, you are always welcome to call us at 1-888-262-5456 where we can help determine the next steps to protecting your information and your money.